Standard point-and-shoot cameras have largely been replaced by today’s smartphones, but camera companies have adapted to changing times by making their products more advanced to find new ways for them to be relevant. By borrowing features from mirrorless cameras, today’s premium compact models offer a great deal of versatility. Take Sony’s RX100 series as a prime example. Canon added a new model to its PowerShot series this CES, called the G9 X Mark II, the successor to the G9 X which launched back in 2015. It’s priced at Rs. 30,995, which is roughly the same as the older model but less than half the cost of Sony’s latest RX100 V.
So, does Canon’s new advanced compact shooter offer comparable features to Sony’s offering? Let’s find out. Canon hasn’t really changed much about the outside of the new G9 X Mark II, and it looks nearly identical to the older model. It’s built very well, with a metal body and rubber inserts around the sides and back to help with grip. The compact size makes this camera very easy to pocket, and it's quite light at just 206 grams. On the left, there’s a dedicated sharing button, which lets you send photos and videos to a smartphone, printer, online service, or another camera. Around the back, there’s a 3-inch touchscreen with a resolution of 1.04 million dots. Sadly, the display lacks any tilt or swivel functionality. The G9 X Mark II doesn’t have an electronic viewfinder (EVF) either so you’ll have to rely on the LCD to frame all your shots. In order to avoid battery drain, there’s an Eco mode in the settings which shuts off the display after a few seconds of inactivity. The screen is bright and vivid, and touch response is good. You can use the zoom control to jump between tabs in the settings menu. Next to it, we have a video recording button which can be remapped to any other function if you don't need it; a Q Set button for quick access to the main settings like drive mode, white balance, etc; a Menu button for the settings; and an Info button for selecting the level of detail you want to see on the viewfinder. The control ring around the lens can be used for adjusting the aperture, shutter speed or ISO, depending on what mode you’re in. On the top, we have a manual release for the pop-up Xenon flash, a playback button, a power button, the shutter release, and the mode dial. All controls are easy to get to and tactile feedback is very good. There’s no hot shoe for an external flash, though. There's a Micro-USB port on the right for transferring data and charging. The G9 X Mark II can even be charged using a USB power bank. Below that, there's a Micro-HDMI port for connecting to an external display. On the bottom of the camera is a standard tripod mount, the NFC sensor, and a flap which houses the battery and SD card. 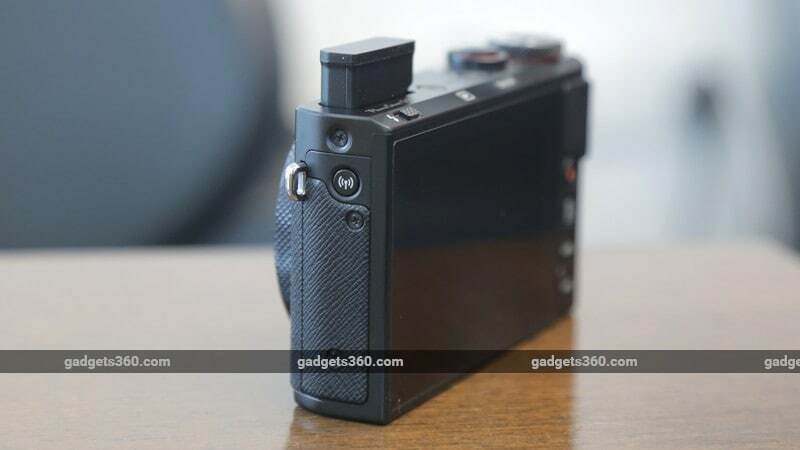 Overall, we love the compact body of the G9 X Mark II. It’s very well built, looks great and comes with a novice-friendly button layout. In the box, you get a lanyard, a battery, a charger, and an 8GB SD card. 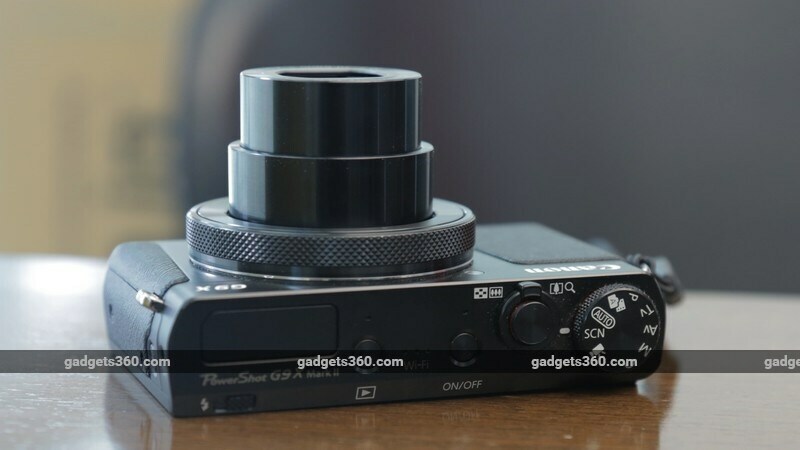 The similarities between the G9 X Mark II and its predecessor aren’t restricted to aesthetics. This camera retains most of the features and specifications of the older model, which means that it won't be much of an upgrade for owners of the original G9 X. The one noticeable change is the move to the newer Canon DIGIC 7 image processor, which ups the burst shooting rate from 6fps to 8fps. Startup time is also very quick at just 1.1 seconds. The Canon PowerShot G9 X Mark II features a 1-inch, 20.1-megapixel CMOS sensor with backside illumination (BSI). The lens has a focal length range of 28mm at the wide end to 84mm at the telephoto end (35mm equivalent), with an aperture range of f/2.0 to f/4.9 respectively. You get 3X optical zoom along with an additional 4X digital zoom. 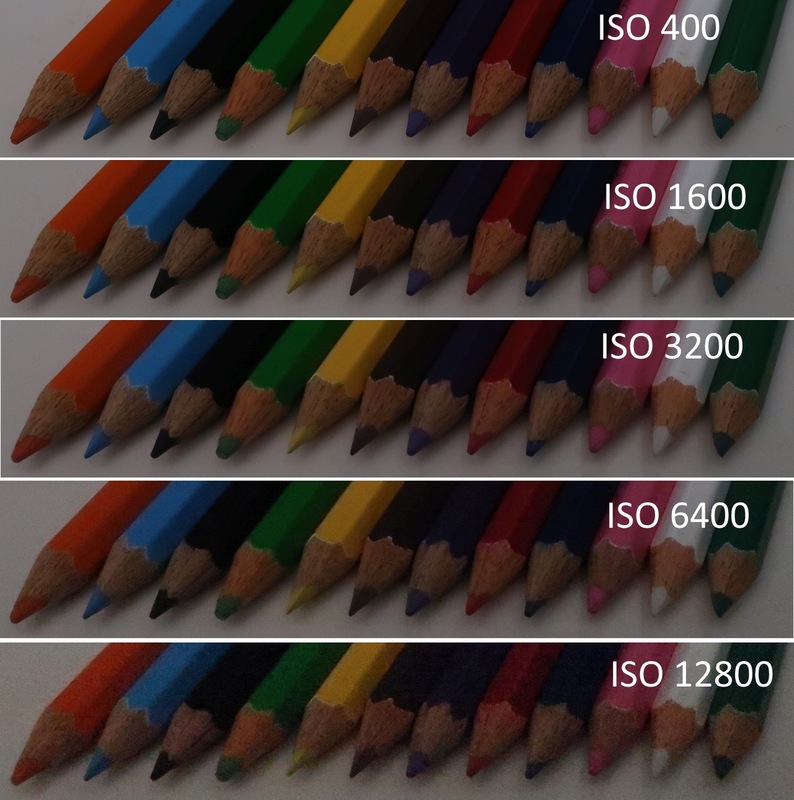 Light sensitivity ranges from ISO 125-12800 with one-third stop increments. Shutter speeds range from 30 seconds to 1/2000 of a second. 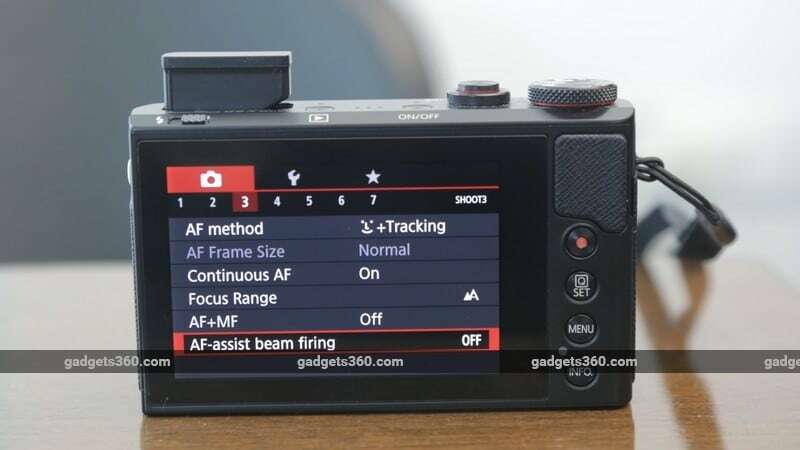 The camera uses a contrast detection autofocus system and a built-in ND (Neutral Density) filter for cutting out light for longer exposures in daylight. The G9 X Mark II can still only shoot video at up to 1080p at 60fps. There’s no support for 4K or even a higher framerate at a lower resolution. However, you do get a manual mode for video in which you can use the control ring to adjust shutter speed, ISO, and aperture. 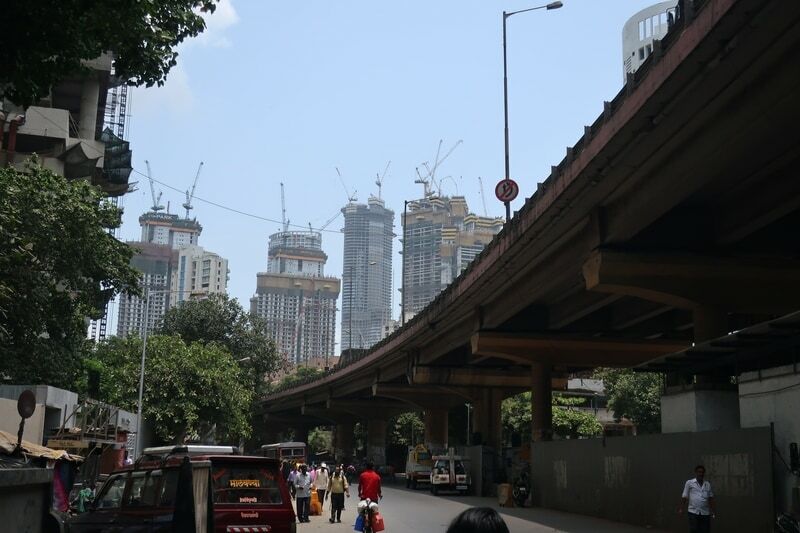 Manual focus has to be set using onscreen buttons and one can enable focus peaking to assist in this. The camera also has focus and exposure bracketing options, which is nice. The G9 X Mark II has built in Wi-Fi, Bluetooth, and NFC for connecting to your smart device. You can pair it with another Wi-Fi-enabled Canon camera, your smartphone, PC, network printer or cloud service. 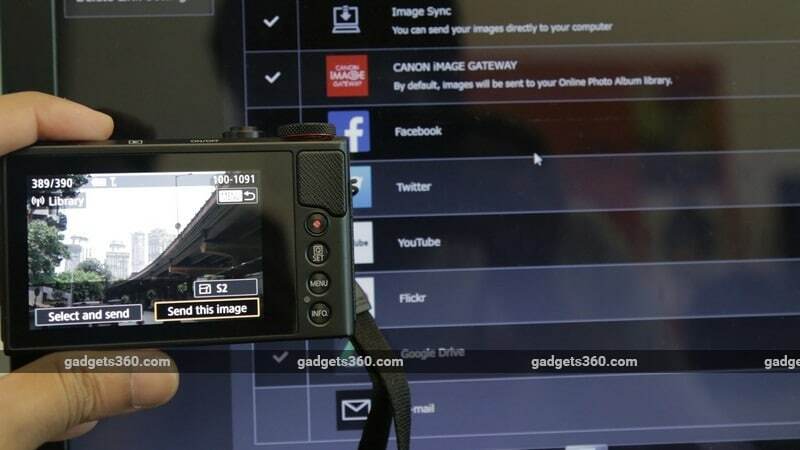 The Canon Camera Connect smartphone app will let you sync and view photos from your camera or even use the phone as a remote viewfinder and controller. The most interesting feature is the integration of various cloud and social services. One you’ve registered for the Canon iMage Gateway service, you’ll receive an email with a link that lets you configure Twitter, Facebook, YouTube, Flickr, Google Drive, and other email accounts. One you sign in and enable each service (up to 8 services at a time), these will show up in the camera interface as sharing destinations. You can then upload photos directly to these services without needing your smartphone, using a Wi-Fi Internet connection. This works well and is easy to set up. We begin with ISO tests, in which we check to see how the camera handles noise at various ISO levels. There’s no visible deterioration in detail till about ISO 1600, at which point subjects have a slightly softer appearance but noise is still not visible. The G9 X Mark II holds its ground till about ISO 3200, after which there is visible noise and details tend to get mushy. At the highest ISO setting, there’s a lot of chroma noise in the picture, so it’s best to avoid this option while shooting unless absolutely necessary. In daylight landscapes shots, the G9 X Mark II captures good details and colours. Image stabilisation works well, and even with the use of digital zoom, we were able to get fairly sharp images of our subjects. We didn’t have any issues with barrel distortion. There is a small degree of chromatic aberration, but nothing that can ruin an image. Due to the size of the sensor, finer details in distant objects in landscape shots aren’t the clearest, but this is only noticeable if you use them at full size. You can use the touchscreen to set focus or capture an image. Focusing is fairly quick although we did experience some focus hunting issues in daytime and at night. Live subject tracking works well provided your subject isn’t moving too fast. It's okay for tracking toddlers but can’t keep up if you have pets that move more sporadically, for example. The camera also has an option to save a person’s face so that the next time that person is in the frame, the focusing system will give him or her higher priority. Macro shots are handled well with a good amount of depth of field. Subjects in focus are sharp, with good clarity and colour. There is some mild compression artifacting in the that’s visible only at 100 percent crop, but images look great otherwise. 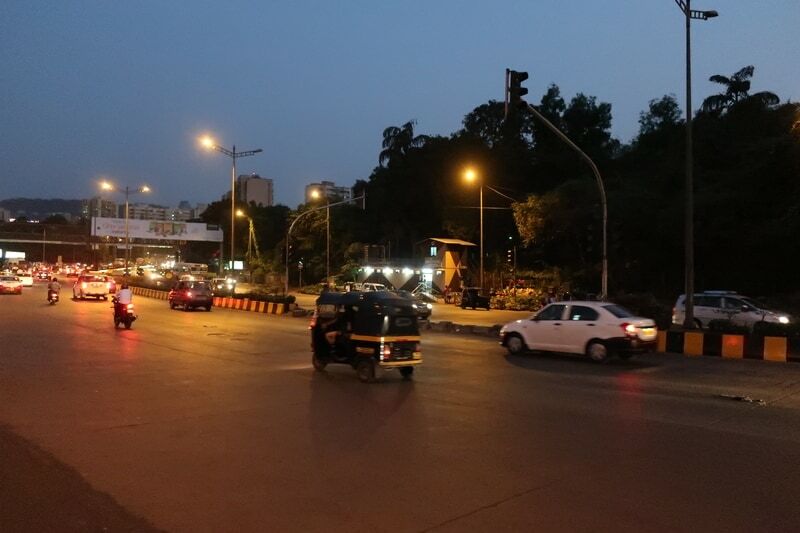 In low light, the camera handles noise very well, as we saw in the ISO tests. Even when set to auto, there’s no visible noise in the dark areas of images, and details are once again handled fairly well. Burst shooting works well as 8fps is a good enough rate to capture those spur-of-the-moment shots. The pop-up flash is fairly powerful for close-up objects but its range is limited to about six meters. Video recording tops out at 1080p 60fps, which can be selected once you switch the dial to movie mode. 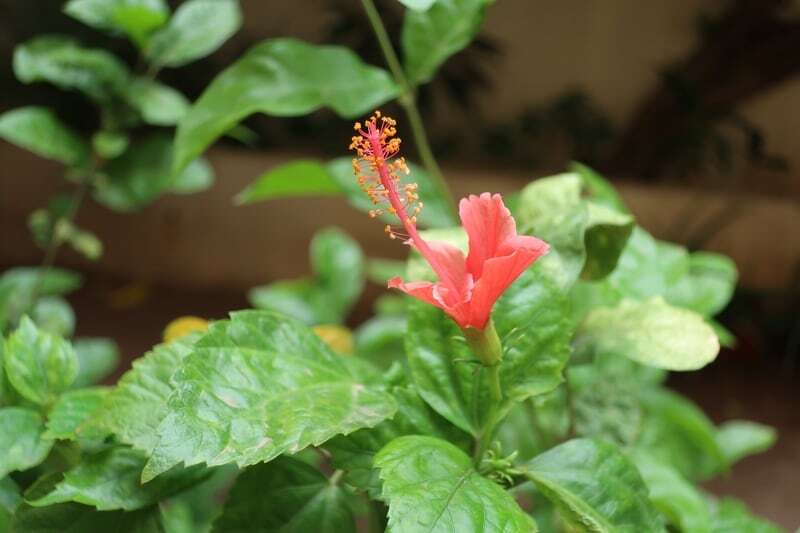 Here, you can take full control over the settings in manual mode or leave the camera in its standard auto mode. Short Clip mode records a 16-second clip that’s sped up a bit. iFrame Movie will record a video in full-HD resolution at 30fps (NTSC) for better compatibility with Apple software and devices. Continuous autofocus works well although it’s not very quick, so it takes about a second or two to lock focus again when you pan around. Video quality is good in daylight and low light too. Apart from the standard PSAM modes, the Canon PowerShot G9 X Mark II has other shooting modes like Auto for those who cannot be bothered setting anything manually; Scene mode lets you manually select a scene; and Hybrid shooting mode which shoots a 2-4 second video clip along with a still image. The camera supports RAW shooting too. We do wish that we had more options for higher video frame rates, even at a lower resolution. The display is easily legible even under sunlight, and touch response is good. The removable battery of the G9 X Mark II is rated at around 235 shots per charge, which is more or less what we got as well. With lot of burst shooting and some video recording, expect this number to drop. Overall, battery life is pretty average, but you should consider that even Sony’s older RX100 Mark II delivered more shots per charge. The Canon PowerShot G9 X Mark II is priced at Rs. 30,995 which alright, but a lower price could have made it more competitive. It offers a lot more value than Sony's RX100 Mark V, but it would be more fair to compare this camera to the RX100 Mark II which was launched in 2013. You could also get an entry-level DSLRs for a little less money. This would give you better image quality and battery life, but of course without the portability of the G9 X Mark II. For camera with a 1-inch sensor, the performance is good in daylight as well as low light, and you get a good set of manual controls for both stills and video. We would have liked better focusing speeds and a longer battery life, but overall, the Canon G9 X Mark II offers a good mix of features and performance for its price.